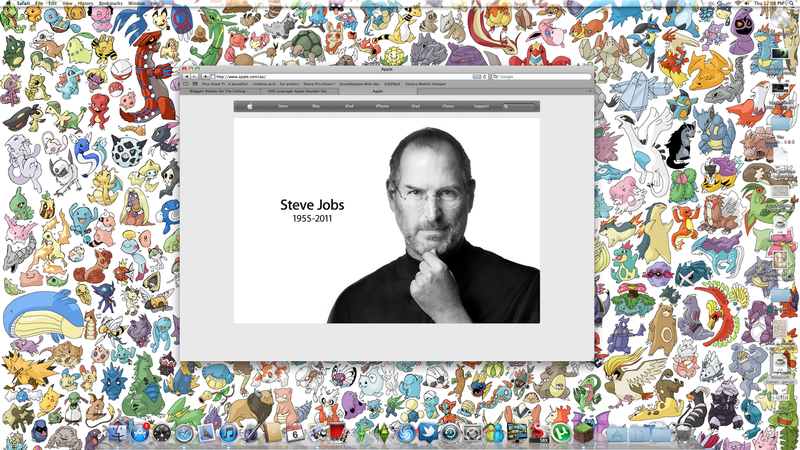 You have probably heard, but Steve Jobs former CEO of Apple has died. It's very sad, because he was a true visionary. People would argue the point with me, but who else in this world was able to create something that nearly every single person would want? I work in an area that sells Apple iPods and I sell at least one a day! Every person I know, has at least one Apple product, or at least knows of Apple. I'm a recent convert from PC to Apple, and I'll never look back. Last night my dad asked me to google Steve Jobs and see if he was getting better. I wasn't able to find anything, mostly blogs bitching about how he wasn't at the announcement of the iPhone 4S, WELL NOW YOU KNOW WHY! I also did my own dedication. I actually had the idea to do this last night, but never got around to it. So I did it this morning after I heard the news. 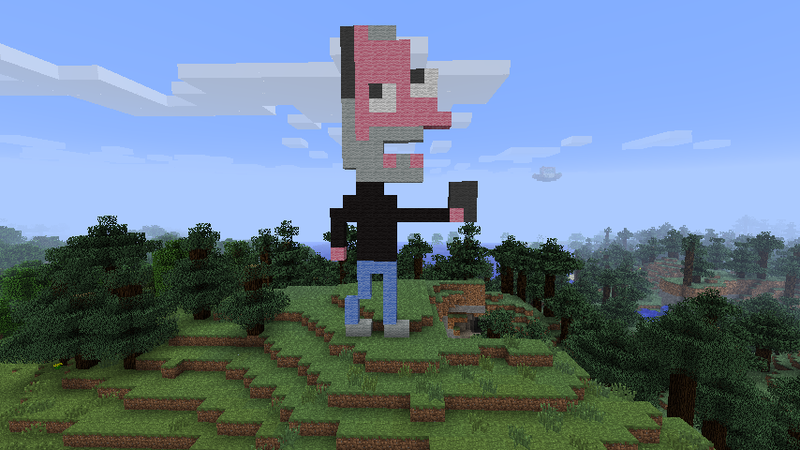 Steve Jobs will watch over my village :) Hopefully a creeper won't blow him up.